Microsoft announced plans to buy LinkedIn for $26.2 billion on Monday. The deal will help Microsoft improve its CRM product to take on Salesforce, and create new products that cater to HR professionals and marketers. How fast is it growing? This chart from Statista shows total membership has been growing slowly but steadily, almost tripling since the beginning of 2012. 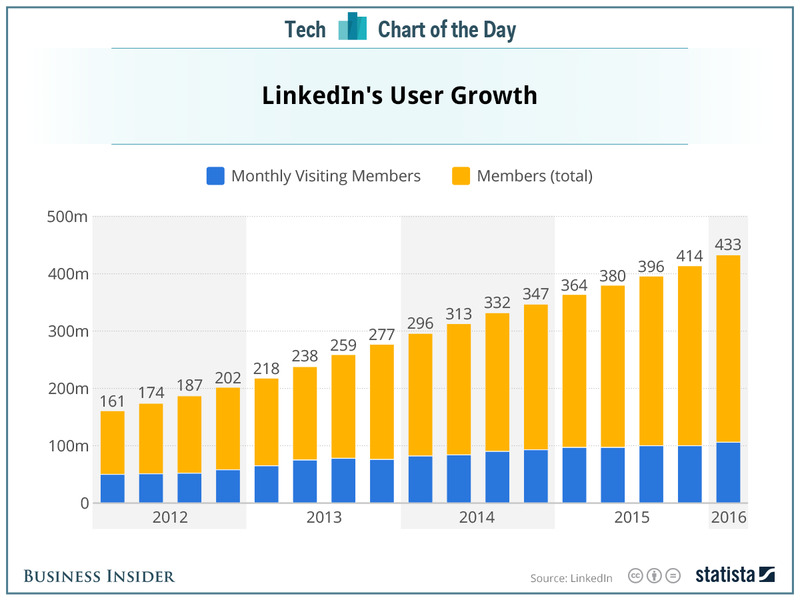 Monthly usage — the standard measurement for social networking companies — has grown a lot more slowly, and stood at 106 million as of the end of March 2016. By way of comparison, Twitter has 310 million and Facebook more than 1.5 billion.